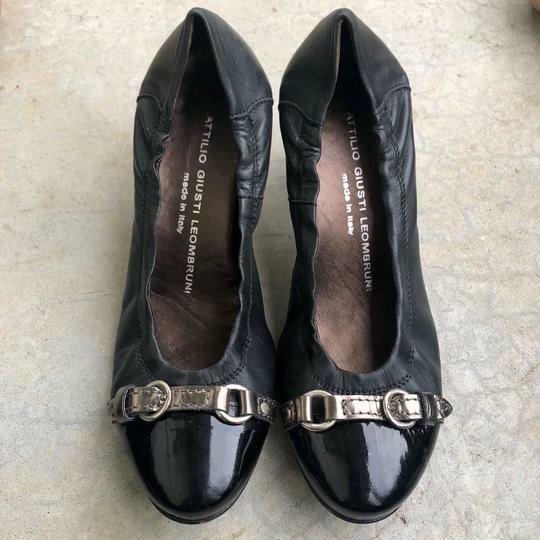 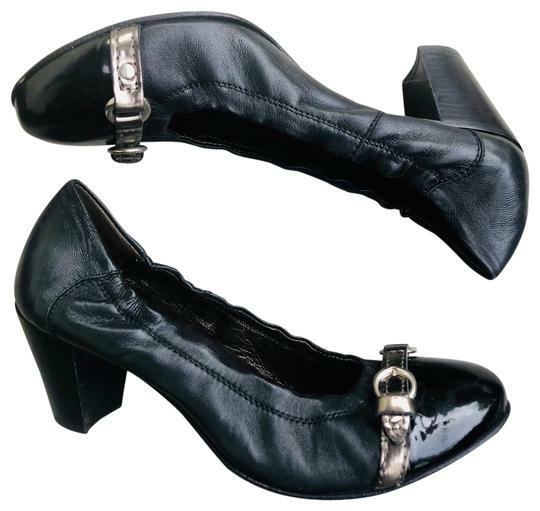 Black leather uppers with black patent leather cap toes and silver gray buckle detail across the vamp. 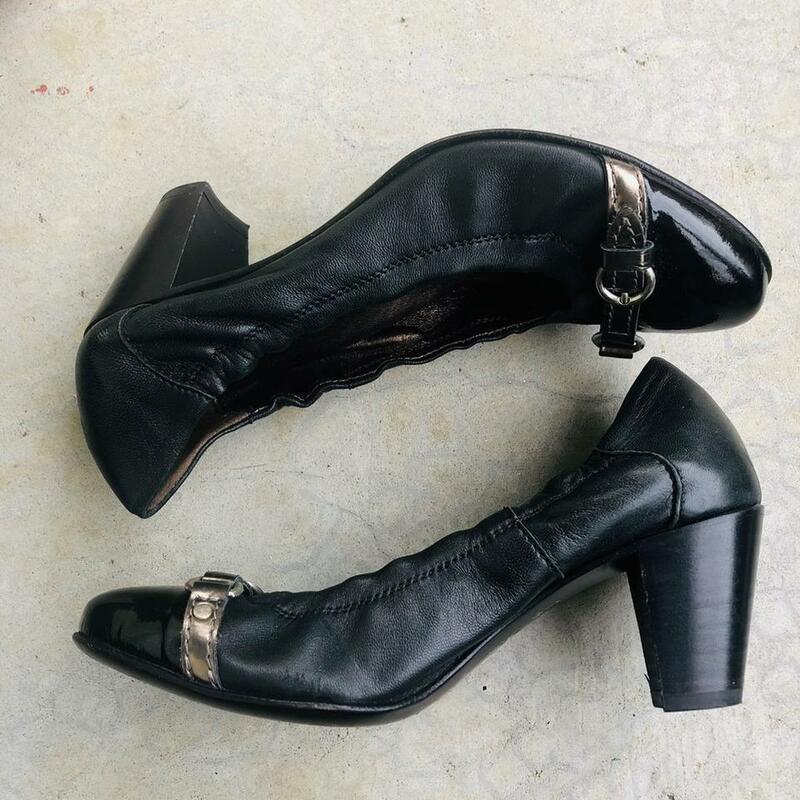 2.25” heels. 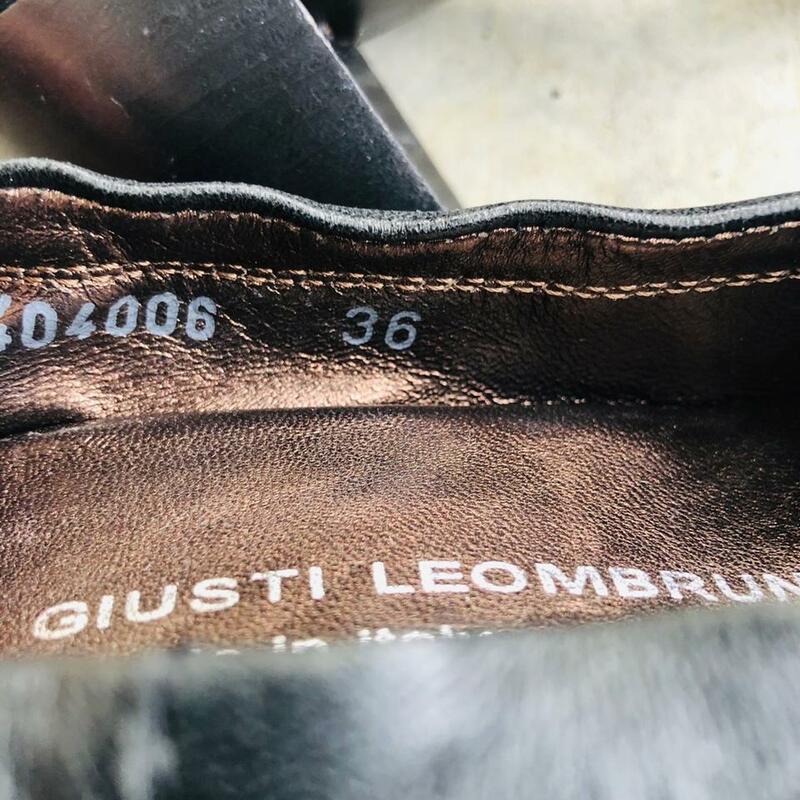 Size Euro 36.